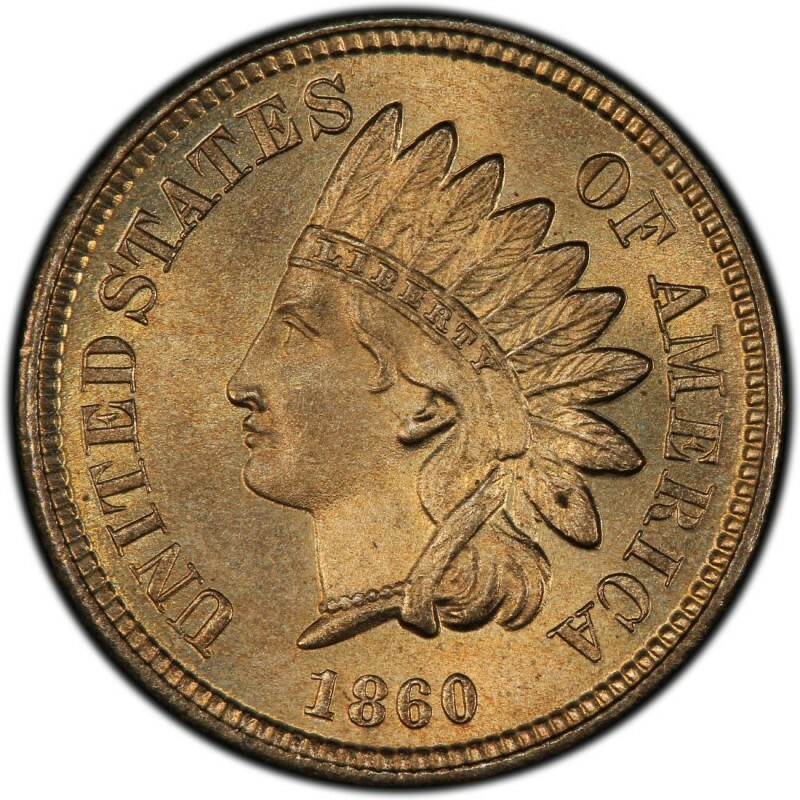 1860 Indian Head cents represent the second year of the series. Indian Head pennies from 1860, much like the Flying Eagle cents and all other one-cent coins through 1864 were made with a copper-nickel composition, which gives these early pennies more of a white appearance than the bronze pennies beginning late in 1864. 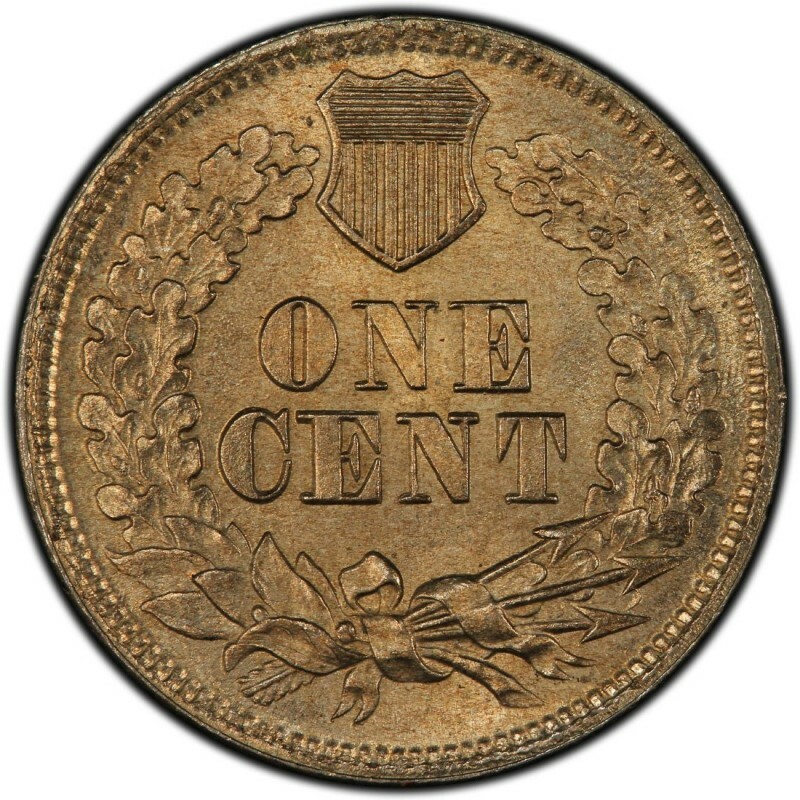 James B. Longacre designed the Indian Head cent, and his work is associated with many other coins of that time period, including the two-cent piece – the first coin to bear the motto IN GOD WE TRUST. Longacre’s young daughter, Sarah, served as the model for the Native American image on the Indian Head penny. The story goes that the designer and his 12-year-old daughter were visited by an native chief, who playfully placed his traditional headdress upon the young girl. Longacre quickly sketched the scene to show his wife. And from that sketch, the bust design on the Indian Head penny was born. The head on the penny is actually supposed to be that of Miss Liberty. The 1860 Indian Head cents were the first in the series to feature an oak wreath with shield on the reverse. This is the basic reverse design that would be used for the remainder of the series, which ended in 1909. 1860 Indian Head pennies are available as both a business strike and a proof coin. Of the business strikes, there are two distinct types – a rounded bust and a pointed bust; these distinctions are made at the base of the head, just below the necklace. The pointed bust is thin and pointy, with the tip of the bust making a clear line for the “U” in the “UNITED STATES OF AMERICA.” The rounded bust is thicker and bends downward closer to the “1” in the date. 20,566,000 business strikes were made, with the rounded bust retailing for $11 in Good-4 while the pointed bust variety sells for $20 in the same grade. 1,000 proofs were made, and these 1860 Indian Head cents trade hands for about $3,500.